The other night, I was really looking forward to watching a movie I remembered very fondly as being one of my favourites from my teen years, Little Darlings. I remember watching this movie multiple times in the theatre and just loving it. So I settled in and started watching. What was I thinking? Were the hormones that coursed through my veins making me insane? This movie was one of the worst pieces of schlock. I couldn’t even sit through the first 30 minutes before turning it off. Then I remembered a truism I had conveniently forgotten. Just because you remember it, doesn’t mean it was good. People have this annoying habit of looking back in time and only remembering what they liked about an era. 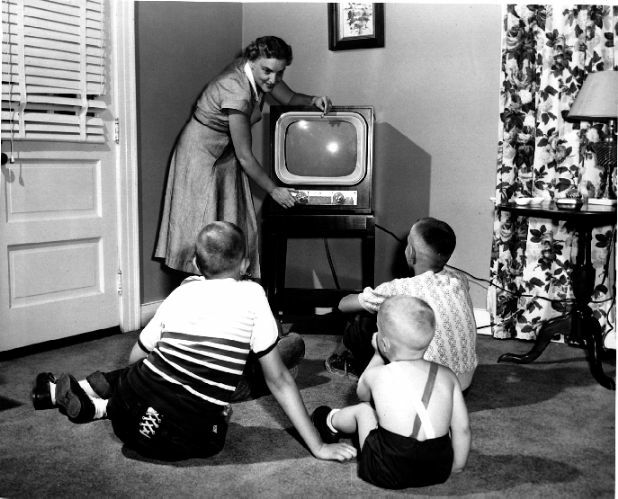 For instance, Americans are always hearkening back to the 1950’s as the time when America was perfect. From the fashion, to the music and the cars, the 1950’s were the good old days. I’ll give you the fashion, clothes were beautiful and flattering then, but undergarments, weren’t so cute… or comfortable. 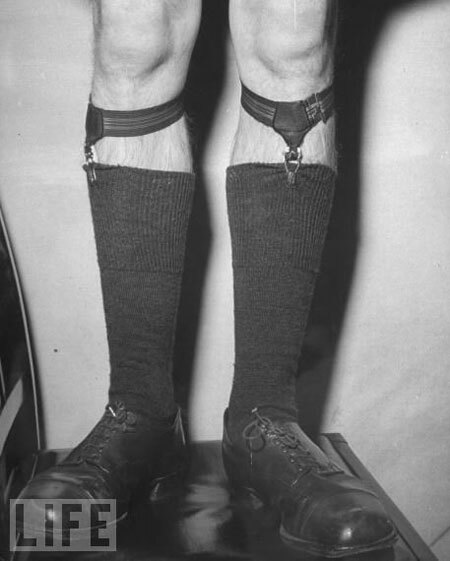 Men had to wear suspenders to hold up their black dress socks. And women were wearing foundation garments like this. Then there was the music. The beginning of Rock and Roll, Elvis Presley, Buddy Holly, so much good music. But the 1950’s were also the decade that gave us novelty songs like How Much is that Doggy in the Window? and Purple People Eater and spoken word songs like What is a Wife? and Big Bad John. The cars of the 1950’s were some of the most stylish and impressive in the history of cars, the Thunderbird, Cadillac and Chevy’s of that era are considered American classics. But then there’s this. 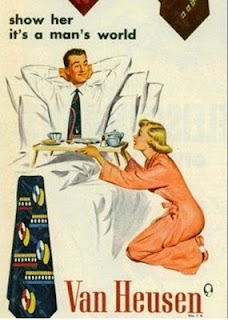 Sure the 1950’s were a good time in American History if you were a white man. The American dream was within your reach. If you were a woman you had this kind of existence. If you were black, America looked more like this. And the above image is a kind example. I could have shown a lynching. JUST BECAUSE YOU REMEMBER IT DOESN’T MEAN IT WAS GOOD. 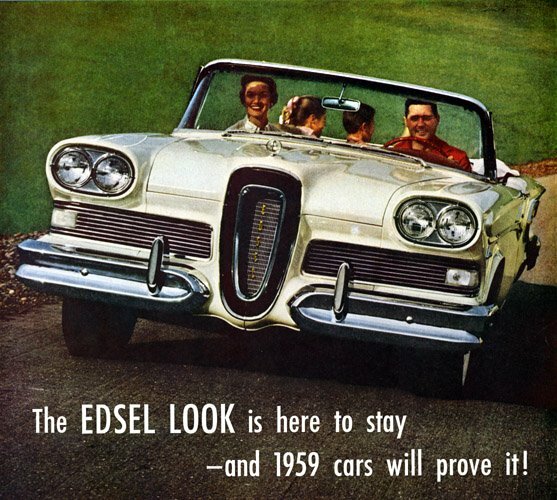 I like Edsels, too. Though a Chevy Bel Air is really what takes my breath away. So, so true! Also, the idea that the normal family involved a working dad, stay-at-home mom and 2.5 kids. Lots of women were working outside the home even then – people just didn’t talk about it. I’m not old enough to be able to look back at the “good old days” and create a nostalgic statement about it. But hell, the 90’s were pretty damn rad. Great post! Cheers. Eddie Vedder and Kurt Cobain were ruling the airwaves… My flannel shirts and jeans suddenly went from being the clothing of a poor student to the height of fashion… Movies were being made for me… I had my first everything… I was young, and for a while, cool. If you take that away from me I’m left remembering I’m a single man who’s rapidly approaching the big 4-0 and not overly happy with my life in general. No thanks… I have no intention of giving-up my delusions… I need them. Agreed. People find it very easy to gloss over the major issues of trying times to fashion their own view of a “perfect period”. Then again, I guess you can attach that point of view to just about any decade. Let’s face it, when considering the human condition as whole.. we are quite simply just pretty damn screwed up. Great post. I love Purple People Eater. Can I send this to every conservative I know? 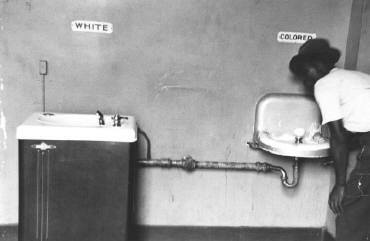 The “good old days” are merely a matter of perspective. For some, not so good. You got me thinking about the days of my youth. We had constant strikes caused by idiotic capital and idiotic labour, Irish terrorists, middle-eastern terrorists, German terrorists, massive unemployment, boarded up shops, three-day work-weeks weeks to conserve electricity/fuel, power cuts, rampant racism and sexism on prime time telly… And none of it mattered, ’cause we were all going to be radioactive dust soon anyway. Memo to self: read stuff through before submitting it.